The Dean of Winnipeg (canonically known as "protopresbyter"), Fr. 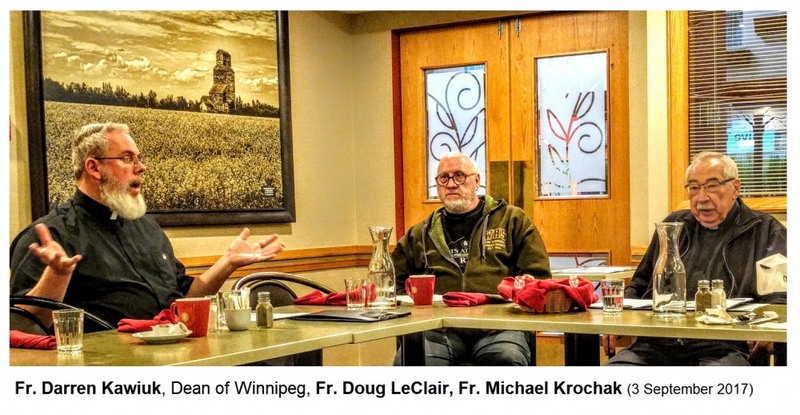 Darren Kawiuk, convened a meeting of the clergy of recently re-structured Winnipeg Deanery on 3 October 2017. As the deliberations usually goes on long enough to require a meal at some point, the Deanery meeting was held at a small conference room at the Canad Inns Garden City Conference Centre. Everyone enjoyed a good meal and a bit of fellowship and then got down to business. A wide spectrum of pastoral and practical matters were presented and discussed. This included liturgical practices, financial matters, reports on what is happening within the parishes, statistics, etc. Also the clergy took note of what was happening in society - events and trends and how the local Church can best respond and guide. A good deal of information was shared by all present. Fr. Michael Krochak, for example, even distributed the latest newsletter of Canada's Priests for Life. Some of the proposals by various clergy can and will be implemented by clergy in their own parishes. Some other matters will need a decision of all the clergy within the Archeparchy and the approval of the Archbishop of Winnipeg, Metropolitan Lawrence Huculak. It was a very satisfying meeting and the clergy are grateful for such events - even for the mere opportunity to get together with brother priests to share, support, offer guidance and encourage each other. 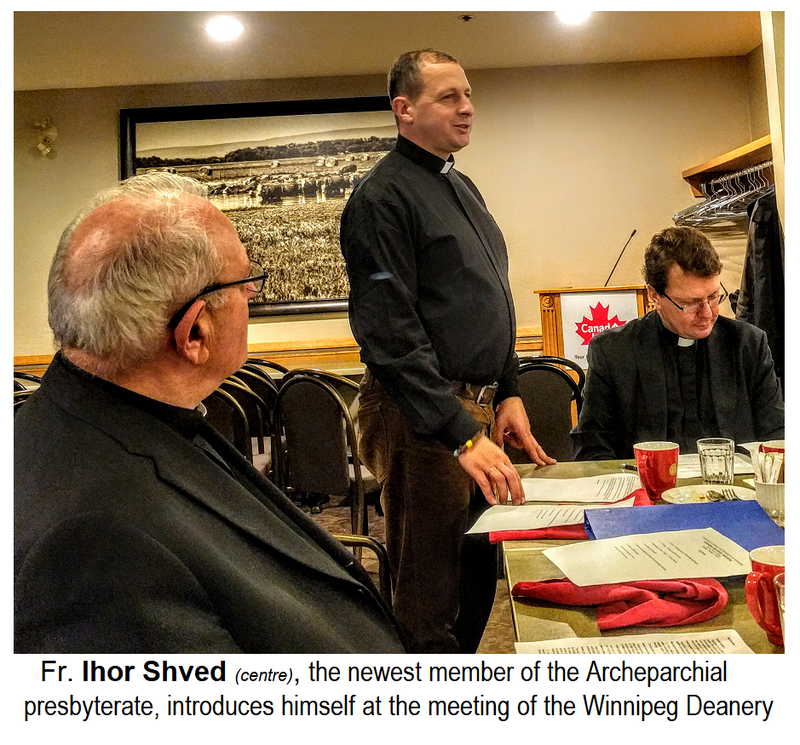 The next Winnipeg Deanery meeting will take place in early December.